Mini Vacuum Cleaner Only $3.12 + FREE Shipping! You are here: Home / Great Deals / Amazon Deals / Mini Vacuum Cleaner Only $3.12 + FREE Shipping! Spend a lot of time at your computer? I sure do, and I always end up eating my meals while I work, which means I get lots of crumbs in between the keys on my keyboard. If you’re like me, then you’ll LOVE this deal – get this Mini Vacuum Cleaner for just $3.12 + FREE shipping! 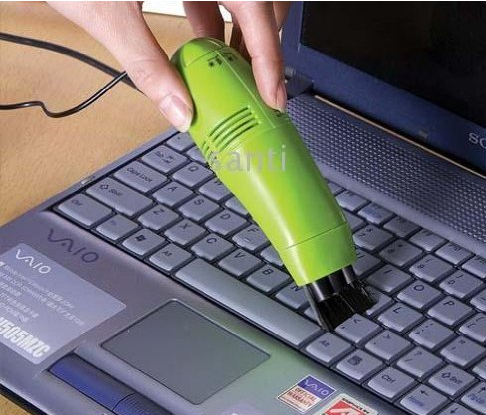 This is handy to have at home or at the office to quickly clean out your keyboard!